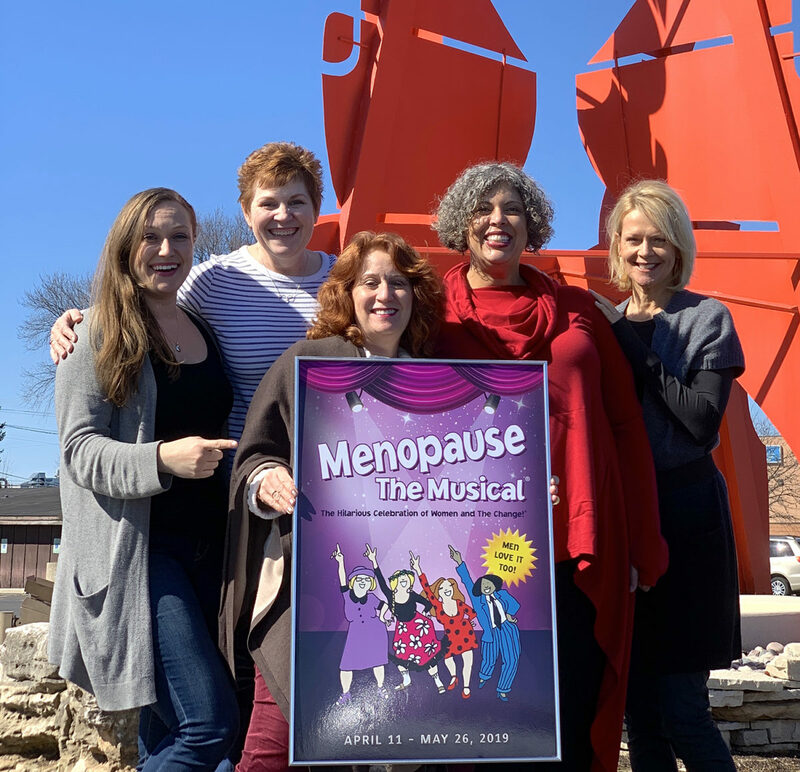 The cast of MENOPAUSE THE MUSICAL has arrived for rehearsals and they’re already have a great time. We’re pleased to welcome Tauren Hagans, Jenny McGlinchey, Laurie Carter Rose, Nikki Casseri, and Monica Heuser to our Fireside family. This “hilarious celebration of women and the change” has had audiences laughing for 18 years in more than 350 cities around the world. A musical parody, set to classic tunes from the 60’s, 70’s, and 80’s, it’s sure to have you humming along and singing the songs for weeks. Gather your friends, your family, and even your spouse because men love it, too and join in the fun. Opens April 11th for a seven-week run. Click here for complete show information including menus. For more on the talented ladies that will grace the stage, click here.